The entire board of Ukio Banko Investicine Grupe (UBIG), the investment group who own Hearts, has resigned from the Lithuanian company. Vladimir Romanov, who was majority owner of the bank Ukio Bankas, which Lithuania's central bank declared insolvent last month, resigned as chairman of UBIG on 27 February. However, he still remains the owner of Scottish Premier League side Hearts. Club director Sergejus Fedotovas has also resigned from UBIG. 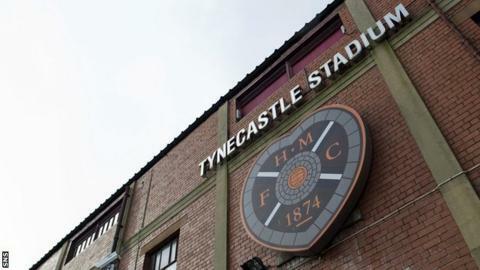 The Tynecastle club has been available to purchase since Romanov made it known he was willing to sell in November 2011. Funding from Lithuania for the Scottish Premier League club has been cut, as have Hearts' operating costs. A share issue helped raise money but it fell short of the £1.8m it hoped to accumulate to keep the club operating until the end of the season. The appeal to supporters came when the tax authorities issued Hearts with a winding-up order over an unpaid £1.75m sum, while a separate £450,000 tax bill was paid just before Christmas. The SPL issued Hearts with a transfer ban last year after two seasons of intermittent late payments of wages and bonuses. This was lifted in mid-January but the club may still only sign under-21 players until the end of the season and will be restricted to a one-out, one-in policy.